Do you have any recipes which you cut out from newspapers or magazines that are so old, so well loved, they are yellowed and food stained and kind of disgusting looking? Behold, this is my recipe for charmoula, a versatile North African sauce that goes well on everything from seafood to vegetables to rice! Isn’t she a beaut? I can already feel my mother cringing from here. Sorry, Mom! I will lovingly type it out by my own hand just in case anyone wants a non-disgusting copy of this recipe to print out. Combine all the ingredients and whisk together or process in a blender or food processor. 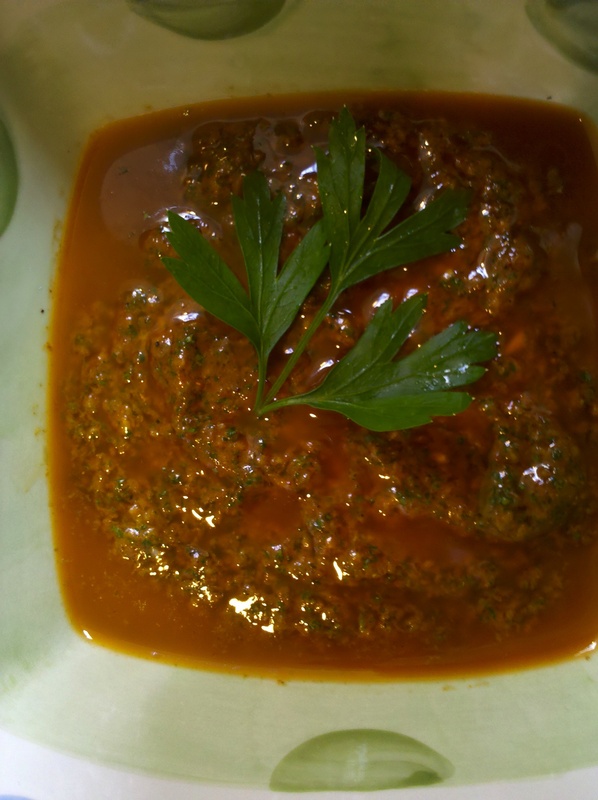 Can be made in advance and stored several days in the refrigerator or frozen. We served this tonight atop grilled salmon, along with brown rice and sesame green beans. 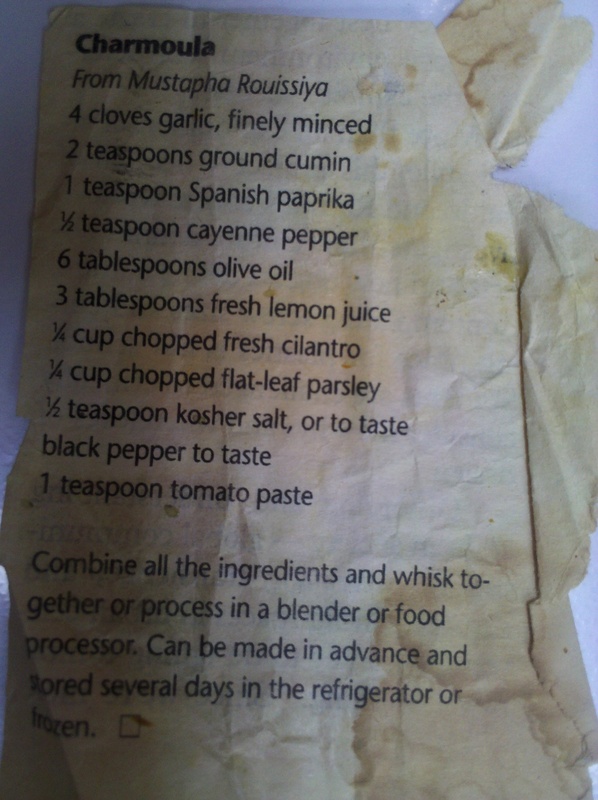 This entry was posted in Sauces and tagged cayenne pepper, charmoula, cilantro, cumin, paprika by Mom Mom's Apron. Bookmark the permalink. Dawn, you shared this recipe with years ago before it was lovingly stained. It quickly became a staple at our house. I freeze it every summer just as the cilantro can no longer take the brilliant heat of June. It’s a treat as the fall and winter set in.